We’d love your help. 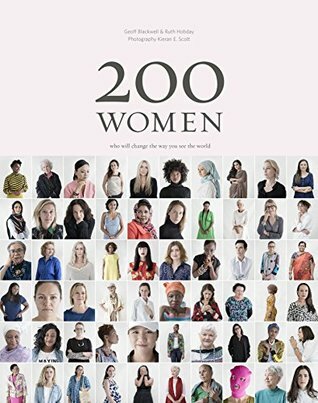 Let us know what’s wrong with this preview of 200 Women by Ruth Hobday. Author(s): Ruth Hobday & Geoff Blackwell ISBN: 9781760408183 Binding: Hardcover Published: 2017-10-01 Set to be become an international publishing event, 200 Women is an extraordinary book about equality founded on 200 original and diverse interviews with women from around the world. To ask other readers questions about 200 Women, please sign up.